Well fear not my friend because there's an easy solution for you! Use Clubbox and you will find everything you want, no sweat! I must note that this tutorial is mainly based on this one, although I added some things because I ran into a few problems that will be covered here, and there's also some added features that you will find at the end of this post. 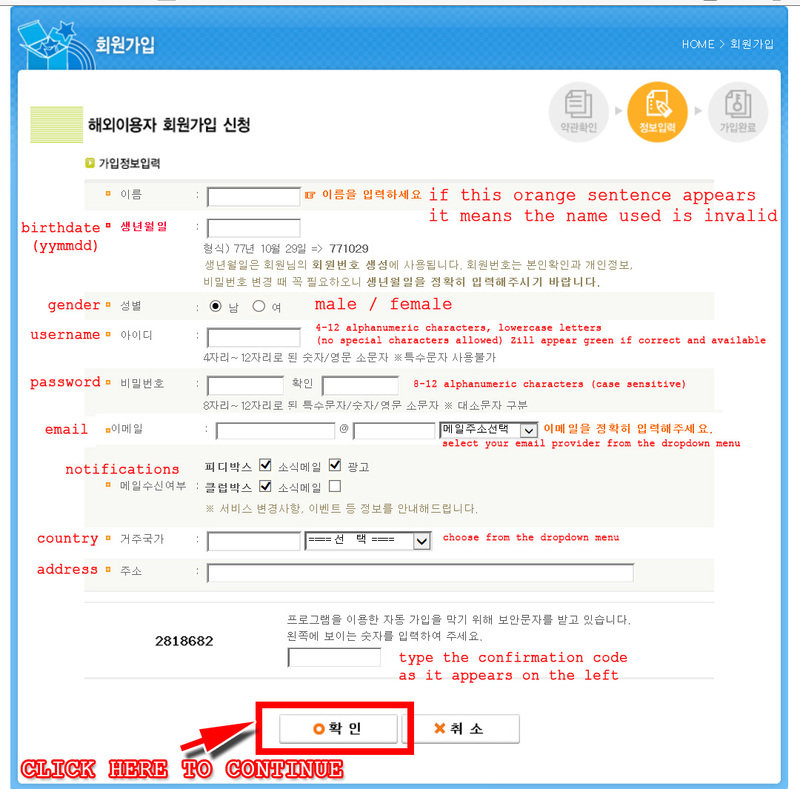 This page will appear (if it doesn't, check the warning above), check that everything is ok, check the box, note the code somewhere just in case, and click to ficish your registration. You will then be taken to the homepage, just enter your login information at the top and click the blue button to connect. YAY you're now connected to Clubbox! Second step, we will download a file and install the Clubbox client the right way! This search page will appear, check the box next to the files you want to download, and click on the light blue button with the arrow at the top (the second one on the left). You can select multiple files. The first button is for quickdownload only, we will get to that later. Once everything is installed, Clubbox will start and ask you where you want to download your files. Select your prefered folder and click "save". Your files will then start downloading... but it's not good looking isn't it? So let's fix it! 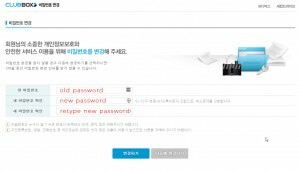 Unless your computer is set to Korean, most of the characters won't appear properly on Clubbox, and will be saved on your computer the same way. 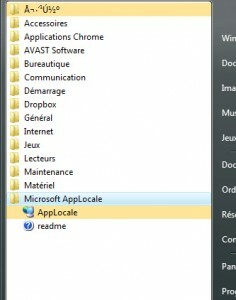 So we will use an old Microsoft program to quickly fix it called Microsoft AppLocale utility. It's no longer available on Microsoft website but fortunately you can get it using the wayback machine at this link. I also did a MEGA and MF mirror. So download it to the root of C:\ IMPORTANT: Is you have Windows 10, this will not work, you have to do this easy procedure instead. If you have Windows 7 and above, you will need to do a certain procedure. Click on the start icon, and type cmd. 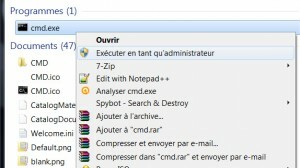 cmd.exe will appear as a result, right-click on it and select "run as administrator". If you've correctly downloaded (or placed) apploc.msi in the root folder of C:\, just tape "cd\" then press "Enter". then just tape "apploc.msi" and press "Enter", the program will then install successfully no matter your version of windows. Once the installation is done, in the list of your programs in the startup menu, you will find it in a folder called "Microsoft AppLocale". 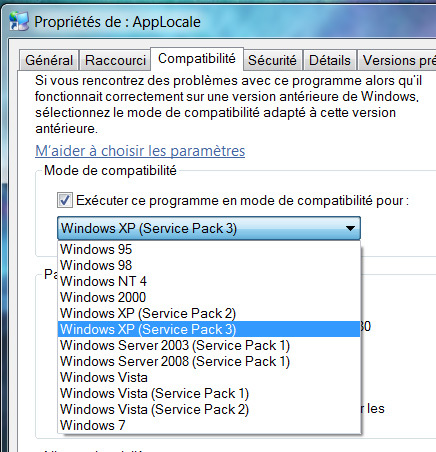 If you're not running on Windows XP, right-click on it and select "Properties". Thank go to the "Compatibility" tab, and under the "Compatibility mode", check the "Run this program in compatibility mode for" and select "Windows XP (service pack 3)" in the dropdown menu. Save, then run the program. Click next and on this window, select "Launch an application", enter the path to Clubbox.exe (usually C:\Users\YOURUSERNAME\AppData\Local\Zettamedia\PdClubBox) and click "Next"
Next window, click on "Create a shortcut", name it, and click "Finish". The shortcut will appear on your desktop. Now you can lauch Clubbox from it and it will be all beautiful ;) (a popup will appear each time asking you if it's ok to run applocale, yes it is, say OK!) Click "Log in" at the top of the application, enter your login information (if you don't, you can still download, but you will not cumulate mileage points and that's sad) and you're all set. Don't forget to check the "Config" tab to config the program to your liking (it's all in English) and click the "Start" button to strat the transfert (only one at a tikme is allowed). WARNING! You have to run Clubbox through applocale (using the created shortcut) FIRST, then go to the clubbox homepage and download what you want. If you don't proceed in this order, it will stay with the weird characters, and what's more, you're old downloads won't resume properly and you will cry! As stated at the beginning of this post, despite how great Clubbox is, the downside is that it's slow. Depending on the availability of the file, the download speed will be between 20 kbps and 50 kbps. But there's a reward program inside Clubbox that will allow you to increase this speed. The more you let the program running, the more you will cumulate mileage points. You can check your current credit on the "Mileage" tab. When you reach 1000points, you can start exchanging it if you want. 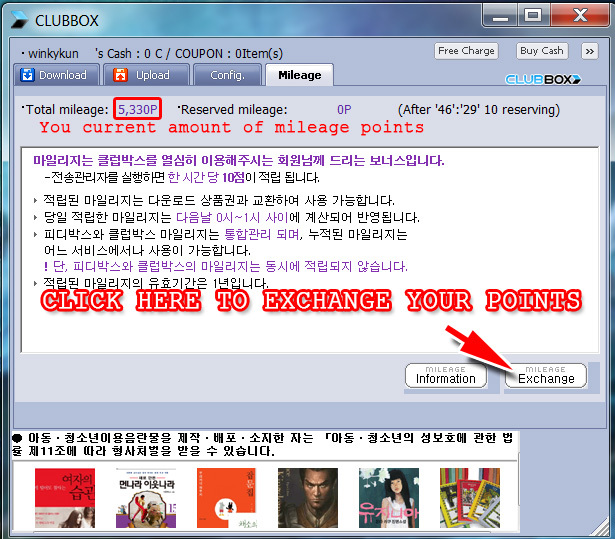 If you wish to exchange your points, click at the bottom on the "Mileage exchange" button. You will be taken to this page. 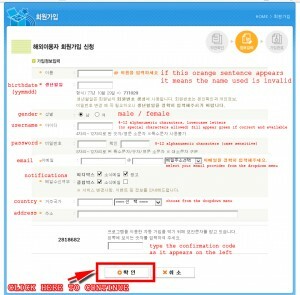 Log in using your Clubbox account. You will get 4 options to choose from. In the orange bubble is the amount of mileage points needed. If the checkbox under it is purple, it means you've got enough points. I currently have 5330 points so I can get the first 3 coupons of my choice. The 1GB coupon costs 1000pts will let you quick download up to 1Gb and is available for 3 days. The 5GB coupon costs 3000pts will let you quick download up to 5Gb and is available for 7 days. The 10GB coupon costs 5000pts will let you quick download up to 10Gb and is available for 10 days. The 25GB coupon costs 10000pts will let you quick download up to 25Gb and is available for 20 days. A new page appears which confirms I got my coupon on the 2016/02/03 using 1000pts. Remember that a 1GB only lasts 3 days, so use it quickly, points are long to obtain. Now to use it, go to your clubbox where you're currently downloading slooooowly. 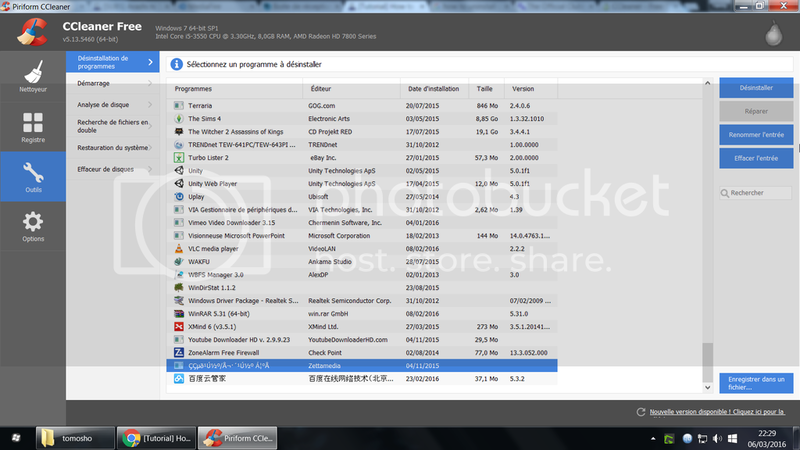 Click on the file you want to download fast, and click on "Quick Download" at the bottom of the window. A popup named "Clubbox item list" will appear. Check at the bottom that the right coupon is selected (in case you have several you lucky you) and click the "Confirm" button at the bottom. 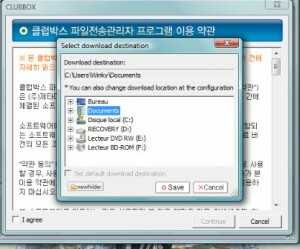 You can also quickdownload a file directly from the website by clciking the left button instead. If you ever get any of the L001 or L005 error while trying to login into the program, first try to run it without going through applocale (just run it from its initial location: C:\Users\YOURUSERNAME\AppData\Local\Zettamedia\PdClubBox\clubbox.exe, to do this, you should activate the option to see hidden folders in Windows, see this tutorial), and see if you can login properly. 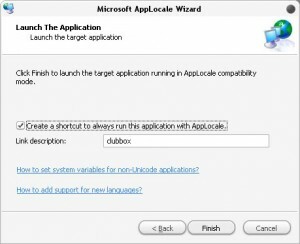 If you can, just check on your shortcut for running clubbox through applocale that the compatibility is indeed for windows XP(right click on the shortcut>Properties>Compatibility>Execute this program etc... is checked and Windows XP is selected). If nothing is still working, just uninstall clubbox and reinstall it from scratch. If it's still not working, I don't know, don't ask me! I rewrote this whole damn tutorial in March 2017 because I had this exact problem, and the only solution was to use Google Chrome instead of Internet Explorer or Firefox and to get the program directly from there. 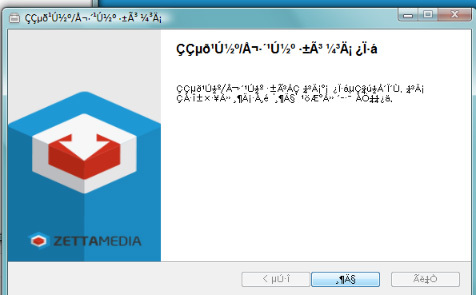 Your downloading files are saved on your computer as one with a _CRCDATA_ extension and one with a _NEO_ extension. You need to keep them in order to resume your downloads. If you connect to your clubbox account using another browser or computer, the website will automatically asks you to change your password (for security reasons I suppose, I know it's super bothersome). All you have to do is fill the form like this and you'll be all set. If you ever encounter a problem where the program just shuts down after the installation (usually when you try to select the download folder), please desactivate your security software (firewall, antivirus) and retry. Clubbox is great for all your raws need, and finding really old files, but it can be challenging because all is in Korean, and... well most of the files names are in Korean too. Sometimes it's also available in Japanese which might be easier,and English works from time to time, but to be sure to get what you're searching for, I will help you by giving you a list of popular search for Arashi files in English, Japanese, and Korean. Most of the time, results written in different language will appear even if you haven't searched using this language. Anyway, better safe than sorry. If you need to know the Korean name of something, you can search Naver with the original Japanese name and in most of the results, you can see the Korean name appearing. I hope this helps you get your Arashi dose ^^ I know it's hard for new fans around here, this is definitely your solution (and buying a Japanese dictionnary *pat pat* ) I know some people use Baidu service but I'm absolutely clueless about it, clubbox is my way to go ^^ I know I will definitely find everything on it, even that obsolete Arashi promotion on Zoom in from 2004 or whatev! If I made any mistakes, please notify me! Now go grab them files, and watch them aaaaaaaal!! Sinon, c'est pareil pour moi après un hiatus d'environ 2 ans ! Pour les vidéos, ça va à peu près, mais j'ai du mal à trouver des scans de magazines ou de photos officielles de bonne qualité : tu aurais des pistes ? Mmmh, pour les scans, de ce que j'ai pu voir, tout le monde se les partage depuis weibo. Alors je suis nase à utiliser weibo (c'est déjà pas mal que je me débrouille en japonais alors s'il faut me rajouter le chinois... ) mais tous les nouveaux scans sont partagés sur tumblr quasi immédiatement. En gros tout le monde est sur tumblr quoi. Mais bon c'est pas des scans HQ non plus, mais c'est mieux que rien. omg, THANK YOU for this comprehensive step-by-step. it seems a bit too complicated for a tech newbie like myself but i'll figure it out one of these days. thank you sweetie! BB, I tried installing that applocale thing but it won't install. I'm using windows 10, is that the reason? I read through the end and it seems I won't be able to download without this applocale thing? Try using this tutorial. 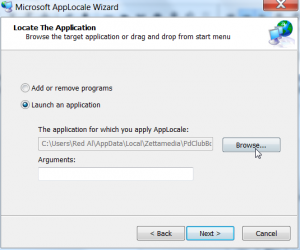 Basically, it's just that you have to install applocale through cmd.exe, and it should work on windows 10. Tell me if this worked for you and I'll update the post. okay, so I'm able to start downloading, I tried that Arashi no V1 episode and it's okay. But when I tried to download Tensei Kunpu, it's saying THE FILE CANNOT BE DOWNLOADED BECAUSE IT CONTAINS AN INCORRECT PATH. what does it mean? I tried changing the saving folder but it's still the same :( god, sorry, I'm so dumb when it comes to these things.. Calm down dear it's ok. Send me a screenshot of the error and the exact name of the file you're trying to download. I'll see if I have the same error. I know it happened to me before but I don't remember what I did. I'll check when I come back from work in 5 hours. This is super helpful for a completist like me. 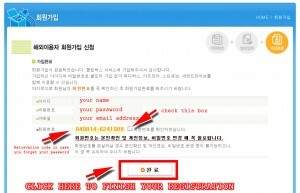 And your instructions are easy to follow :) Thanks so much! I don't think there are any, but just in case... Any mac users who know a way? Do you know how to uninstall clubbox correctly? Because I install clubbox but it not working having a lot of problem regarding 2nd hard drive something... so wanted to uninstall it and install it following your instruction. I haven't tried this method as I don't want to uninstall clubbox, but try this. Anyway, install it, then go to "tools" then the first option will be to uninstall programs. there on the list, for me it's at the end, you will have this, this is to uninstall clubbox. Then, it's probably better to run a scan with ccleaner to clean all the mess that clubbox could have left behind, and also clean the registry, then restart your computer and reinstall clubbox. Do you use the shortcut created by apploc after you've run it? 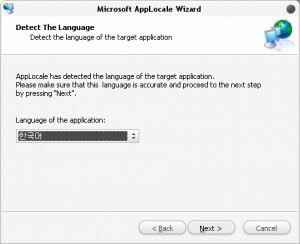 Did you correctly checked the box to create a shortcut when running applocale? Like on this picture? hi! so, um, it seems i can't enter my birthdate correctly? once i click the finish registration button it lights up in orange the brithdate box. help? Are you using the correct format? Ot's yymmd, without any space, dot, slash or anything. For example, if your birthdate is May 15th, 1998, it should be written as 980515, only 6 numbers. Hi! Sorry to intrude... I use Windows 10 and it refuse to install ClubBox... Do you have any idea how to solve this problem? ^^"
Thank you so much for this! It took a good couple hours but I finally got it working xD. Just a note that applocale doesnt really work on windows 10 because you can install languages pretty easily. I installed a korean language pack and then in control panel under clock, language and region you have to click region> change location> administrative> Language for non unicode programs and change to korean. Once I did this and restarted it worked perfectly! 21st-Jun-2016 04:04 am (UTC) - Why can't i register? I would like to ask, why my birthday date can't be entered in the registration from..
My birthday date is 15th of March 1994, so i entered 940315 right? But, the column always red and i can't proceed to the next step, event when i tried another date, it remain the same. 25th-Jul-2016 03:01 am (UTC) - Re: Why can't i register? i have trouble installing clubbox. i get error 104 something about detect_service.exe i have uninstallig and reinstalling internet explorer and clubbox. I have windows 10 I can´t install Clubbox can you help me? i'm using Win 10, but my IE can't open the registration form. does anybody know why? i used firefox, it's opened but i couldn't continue to the next step (stuck in registration form). please help me. 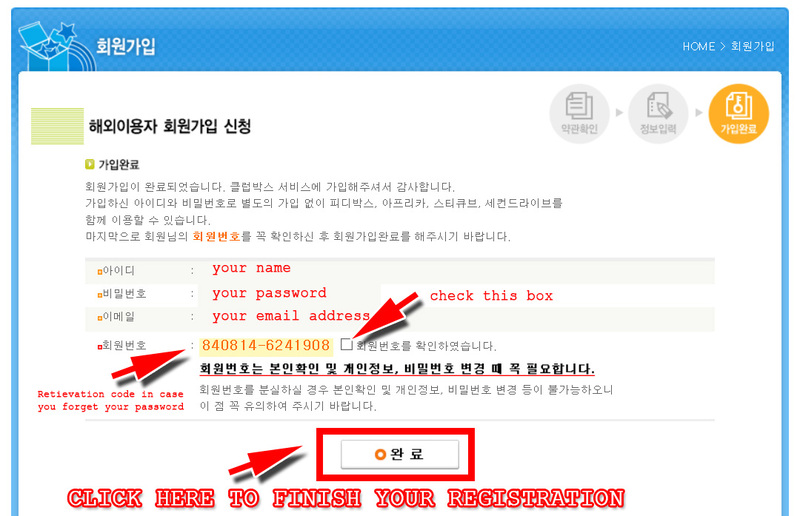 I complete the registration form but can't make it to the next step because the little orange button to continue doesn't work. Tried different browsers too. What am I doing wrong? At which step exactly are you blocked? Did you read the warning? "WARNING! That's where I encountered some difficulties, If Internet Explorer asks you to show all the contents because of security reasons, accept it (the message will appear at the bottom of the page and then disappears a few seconds later. Reload the page if you missed it. You will know you have this problem if the field for your email address doesn't appear)"
Wondering if anyone is having this same issue. Everything works fine until I go to download and it starts to bring up the box asking me where I want to save my files and then it closes right back down. All of my filtering and adblockers are off so I am not sure what the issue is but it's so frustrating!!! I have zero knowledge in mac, but you could use this method. Tell me if it works!